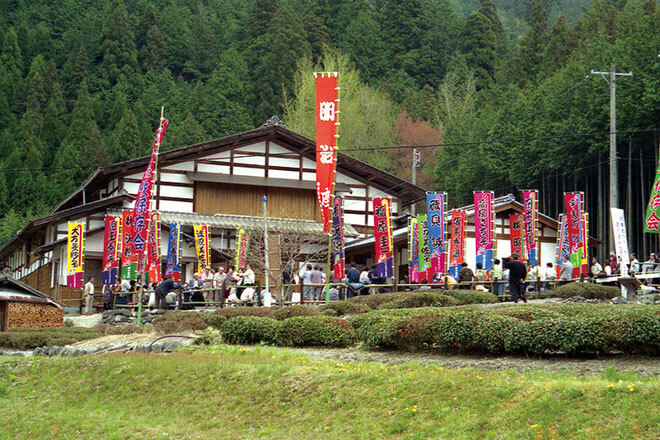 Gifu is Japan's most active Jikabuki region. Kabuki is a form of theatrical art unique to Japan. Kabuki is a UNESCO registered Intangible Historical Heritage. When the art of Kabuki started in the Edo period, its modern and eccentric costumes and hairdos and the gorgeous, picture-like stage sets fascinated many people. 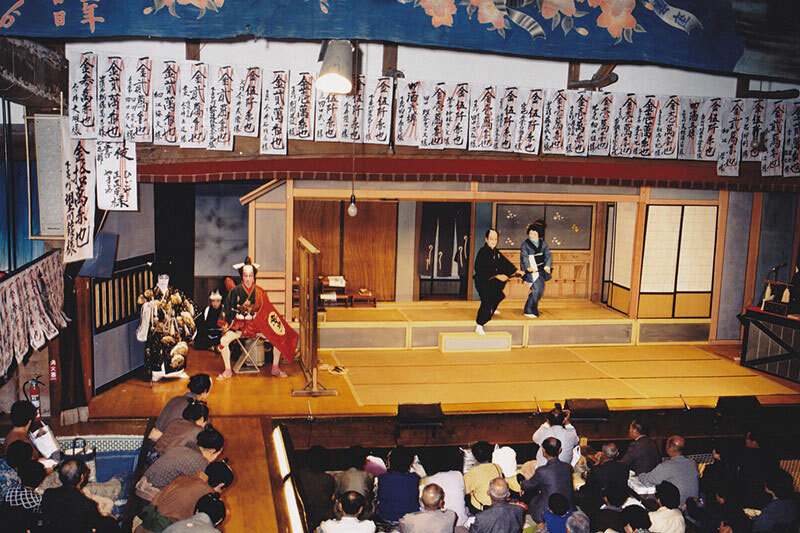 People in rural parts of the nation, who were enthusiastic fans of Kabuki , learned the art of Kabuki from traveling acting troupes, and eventually started organizing and playing Kabuki performance themselves in their hometowns. Such amateur forms of Kabuki played in rural parts of Japan are called "Jikabuki", which still continues today in some regions. In Jikabuki programs, the original stories, costumes and dance routines from the Edo period have been passed down from one generation to the next. 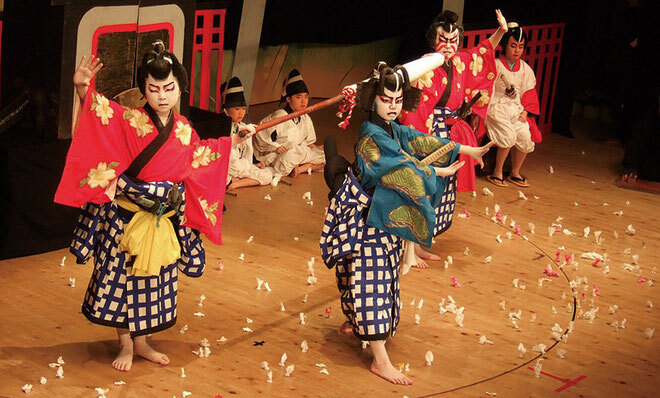 Gifu prefecture has 30 Jikabuki preservation organizations, which is more than any other prefecture in the nation. and is the nation's most active Jikabuki region. Gifu along with Kanagawa and Hyogo Prefectures makes up what is known as the "Big Three" jikabuki regions. Old shibai-goyas (playhouses) are preserved in various parts of the prefecture, where Jikabuki programs are still performed just like in olden times. In 2010, owing to the activities of various Gifu preservation societies, the successions of ji-kabuki choreographers they employ, the regular performance of plays no longer seen in professional kabuki, and the preservation and use of multiple historically significant play houses, "Tono Ji-kabuki and Shibai-goya" were recognized by Gifu Prefecture as Treasures of Gifu. During the Edo period (1603-1868), the Tono region (Southeast Gifu Prefecture) served as a highway intersection where people and goods frequently came and went. This environment, in which urban culture and popular city entertainments were easily exchanged, is thought to be a main factor in ji-kabuki's early development. Kabuki performances held during matsuri festivals on various shrine stages soon came to be performed by local villagers, whose wild enthusiasm for kabuki led the shogunate to issue regulations banning its performance. At this time, T?no belonged to the Owari Domain (feudal territory held by the Tokugawa clan), and between the source of income provided by Tono's lumber supply and the importance of Tono's strategic position on the militaristically important Nakasendo highway, ji-kabuki performances were tolerated as an outlet for the people's discontent. 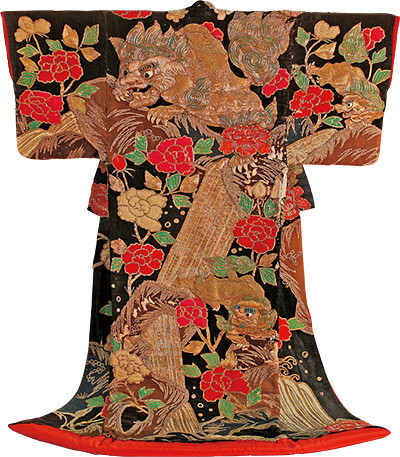 This background is believed to have been another main factor in the development of ji-kabuki. Colorfully patterned kimonos and wigs, shamisen music and singing, and skillfully designed and crafted stage sets made entirely of wood, paper and cloth are essential parts of Japanese culture still preserved in the Kabuki art. Mie is a special form of performance characteristic of Kabuki, where the actor strikes a pose and remains stationary for a moment, for example to express a strong emotion. Mie is enhanced with the "clatter-clatter" sound effect produced by the tsuke-uchi, to mark the climax of the play. Calls of encouragement from the audience made in time with the "mie" posing are called "Omuko". In professional Kabuki, ordinary visitors are not allowed to make Omuko calls, but that is not the case in Jikabuki. Anybody can join the fun! Throwing "ohineri", or coins wrapped in paper, at the stage in time with Omuko calls is also a fun part of Jikabuki watching. "Tachiyaku" and "onnagata" refer to male and female roles respectively which, in professional Kabuki, are both played by male actors in professional Kabuki. 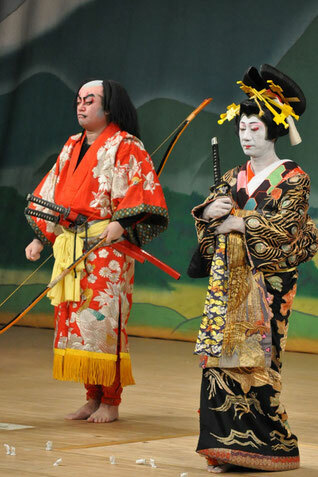 In Jikabuki, however, tachiyaku may very often be played by female actors and onnagata by male actors. 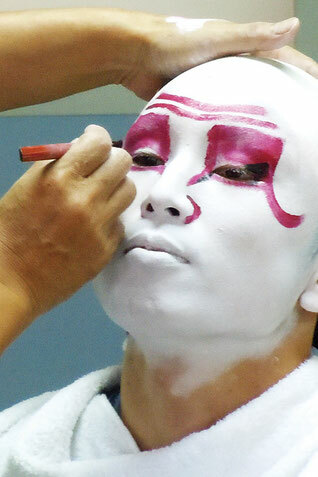 Kumadori, a special form of makeup worn by Kabuki actors, represent facial veins and muscles in an exaggerated manner. Certain colors and patterns of kumadori are associated with specific attributes of the characters being played. 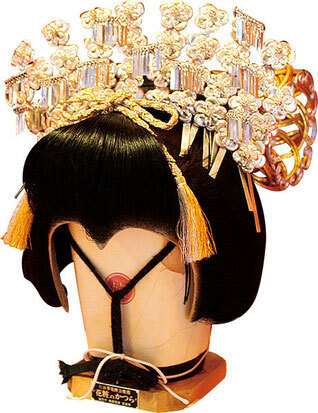 Colorful and flashy costumes are also an important element of Kabuki entertainment. Like kumadori, costumes represent specific attributes of the characters being played. "Visit the Edo period in action! Watch Jikabuki performance in preserved shibai-goyas just like in olden times"
Gifu prefecture has a very active Jikabuki culture and contains a number of shibai goyas (playhouses) which are more than 100 years old. These shibai goyas retain the Edo and Meiji period architectural styles, which look just like period drama sets. Inside the shibai goya, theatrical equipment such as hanamichi (platform connecting the main stage and the back of the theater), revolving stage, and the dressing rooms where famous actors left their signatures, are very reminiscent of the old times. Snacks and meals between acts - the local specialties. Another important part of Jikabuki enjoyment is snacks, meals and sake enjoyed between acts. 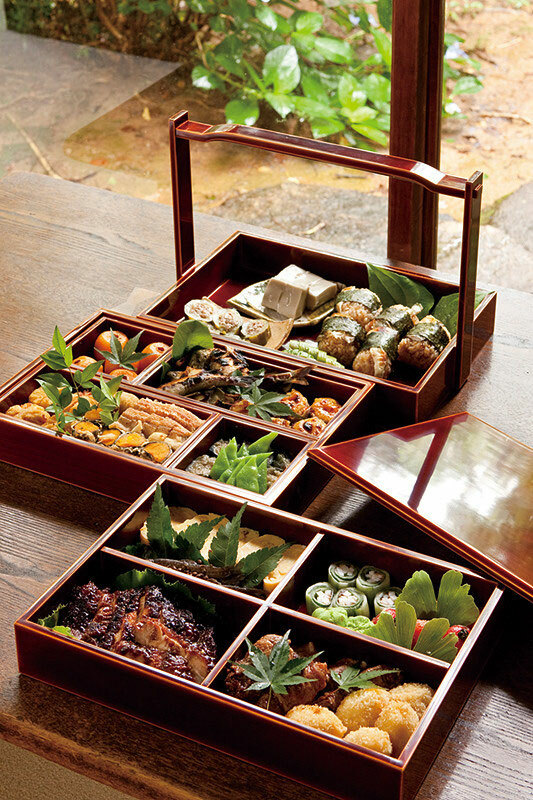 Local specialties of the respective towns, such as snacks, sweets, sushi and bento lunch, are something that you cannot miss!